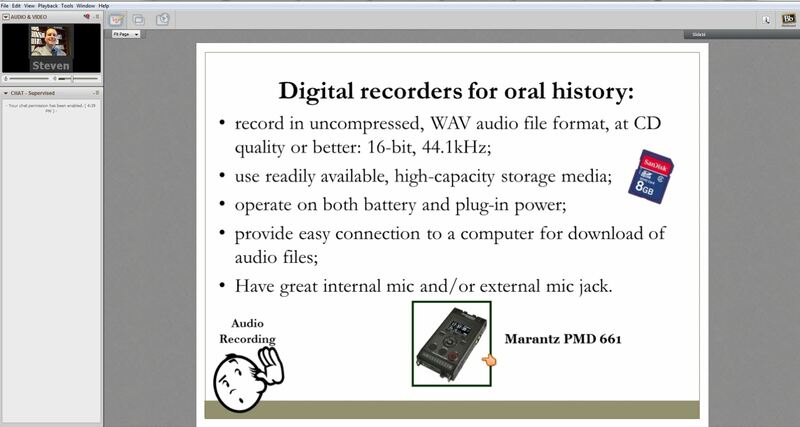 GETTING STARTED WITH ORAL HISTORY is an online workshop offered twice a year. The workshop introduces participants from around the world to oral history project planning, interviewing techniques, equipment choices, ethical and legal considerations, and tips for preserving and sharing your interviews. SHARPEN YOUR SKILLS are online workshops designed to reinvigorate experienced oral historians with new ideas and inspiration for improving their skills.